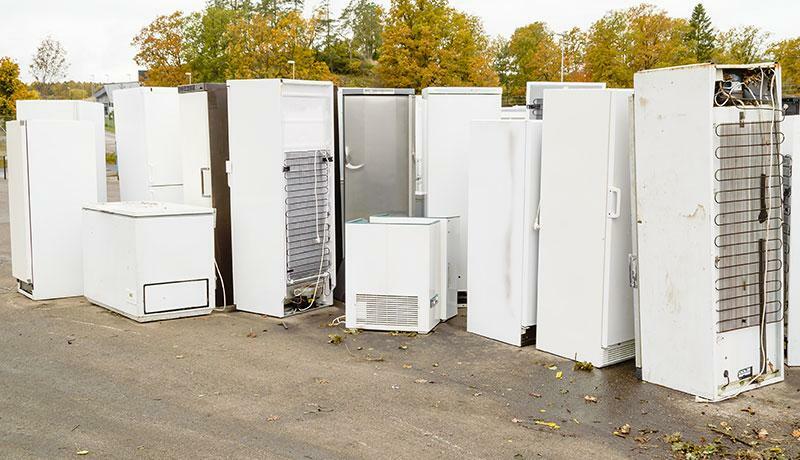 Fridge and freezer recycling has seen ups and downs over the past couple of years with recycling capacity fluctuating with the opening and closing of various facilities. How have market pressures influenced pricing? In order to treat refrigeration units there are certain processes that need to take place to de-gas the units and remove any other toxic materials before disassembly and material recovery can take place. As these processes need to take place within facilities which are adequately set up and licensed to accept such waste, there is limit on capacity within the UK. In the event that sites close, even temporarily, or they reach their storage capacity (i.e. how many units they can accept onto a site) demand can outstrip supply which will force up prices, based on simple market dynamics. This happened in 2016 when several sites reached their storage capacity and was a particular issue for local authority sites, where refrigeration units were taking up space on site since they couldn’t move them. What is the current capacity? In 2018 several new treatment facilities have opened which will help deal with any UK capacity issues in the future. These include the AO recycling facility in Telford which opened in 2017 and claims to be able to process 25 % of waste refrigeration, with plans to open another facility in south east England in the next year to handle an additional 40% of UK demand. We work with various suppliers across the country to service our customer requirements for refrigeration disposal and will continue to explore the market for best value. For more information, please contact our collections team.